Week numbers are a reliable way to refer to weeks when you’re working on a schedule. It is a way to specify a particular week by number rather than the somewhat awkward “week starting… ” method. This method of referring to weeks is used by some government institutions and multinational companies. A standard numbering system for weeks is defined by ISO, about which you can learn more in this Wikipedia article. If you have a client who routinely refers to week numbers when scheduling projects, you’ll make it easier for them to work with you if you deal with week numbers too. You’ll also quickly come to appreciate how much easier it is to refer to weeks in this way, and will likely soon wish that everyone else used week numbers too. The default configuration for Outlook is to not show week numbers. 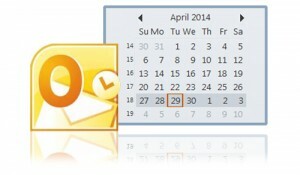 To turn this feature on, go into Outlook Options, then choose the Calendar options. Put a check in the checkbox for “Show week numbers in the week view and in the Date Navigator.” The screenshot below shows the Options panel with the Calendar options. 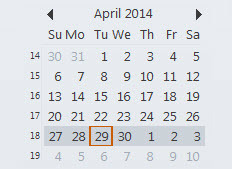 Once this feature is enabled, your calendar will show the week number to the left of each week, as shown in the screenshot below. If you are not an Outlook user and still would like an easy way to refer to these week numbers check out the Epoch Converter. This page displays the current week number, and also includes the Excel formula, PHP code, and other ways to get the information you are looking for. Especially if your client routinely refers to them, using week numbers is a great way to refer to weeks when scheduling projects. Enable this feature in outlook for a convenient week-number reference.